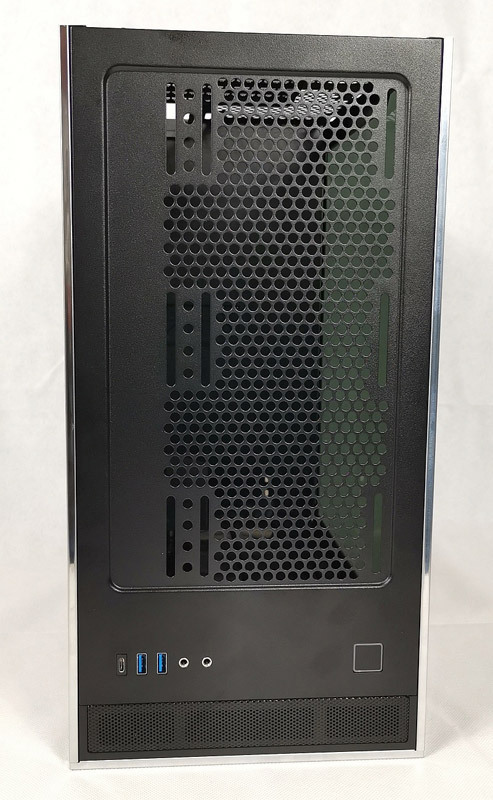 Here I take a closer look at the Silverstone Lucid LD01 Micro-ATX case for you. The case is delivered in a stable, quite neutral outer package, on which the product is pictured and described. 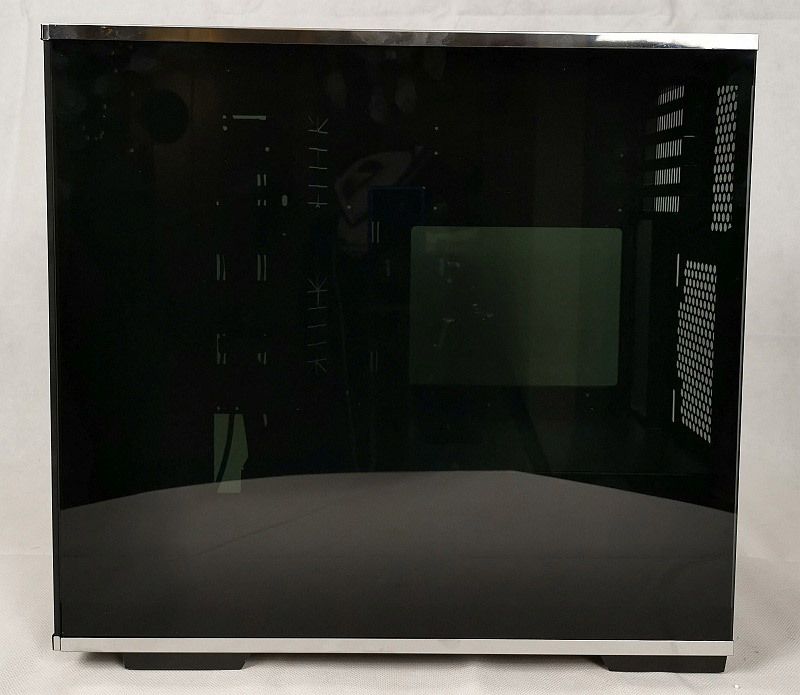 Unpacked, one sees the very noble, but simple case that consists of tempered glass on 3 sides. The glass is framed with stainless steel at the upper and lower edges. Left side, yes, left side. Since the mainboard is turned here, the left side is the backside of the mainboard and the place for the wiring harness. Here you can see the right side. Now the backside, here you can see the "twisted" way of installation. The 5 expansion slots are at the top. On the top side there is a power button and the three USB 3.0 ports, one of them as USB-C version as well as audio and microphone socket. There is no reset button. 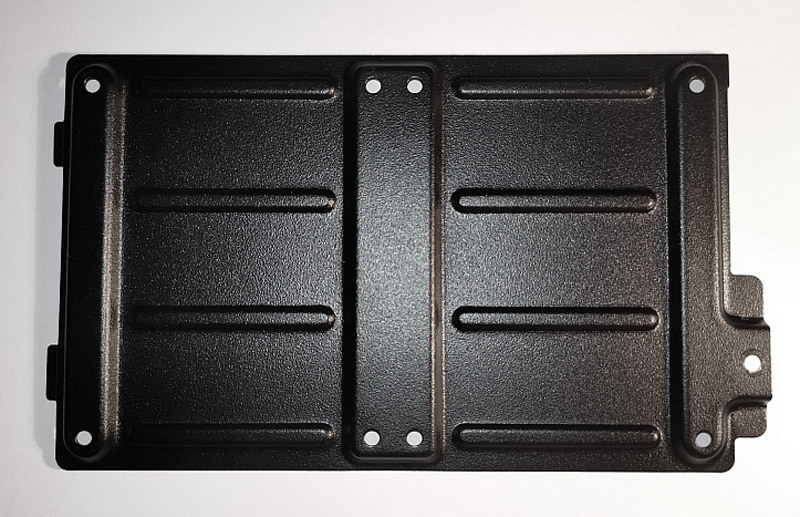 You can also see the magnetic filter mat here. 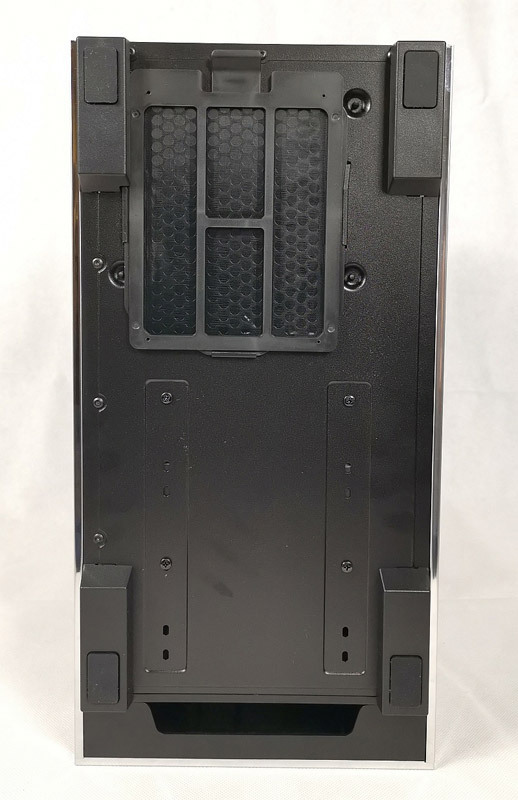 The filter for the power supply unit is located on the underside of the case, in addition to the sturdy feet, and is easily accessible even when the case is upright. 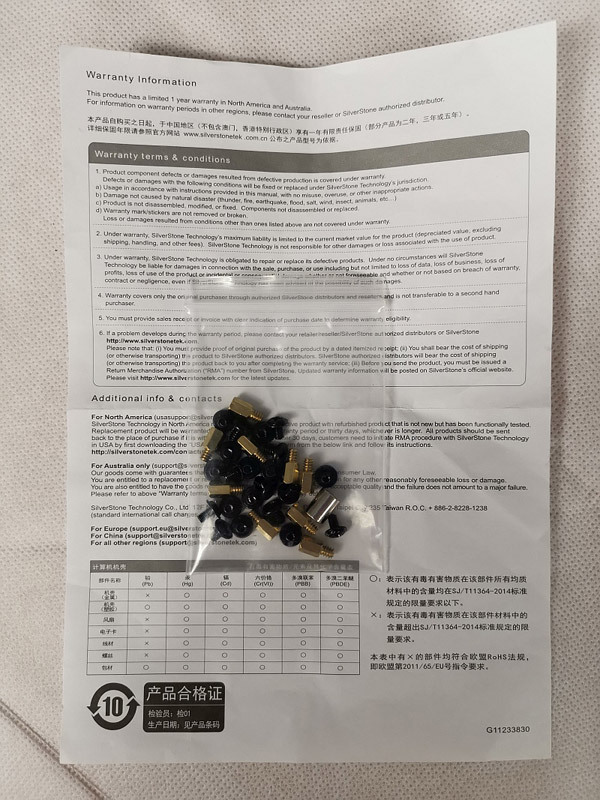 In addition to the housing, the scope of delivery includes a bag with the necessary screws and a warranty information sheet. In addition, the bag also contains an extremely useful small adapter. 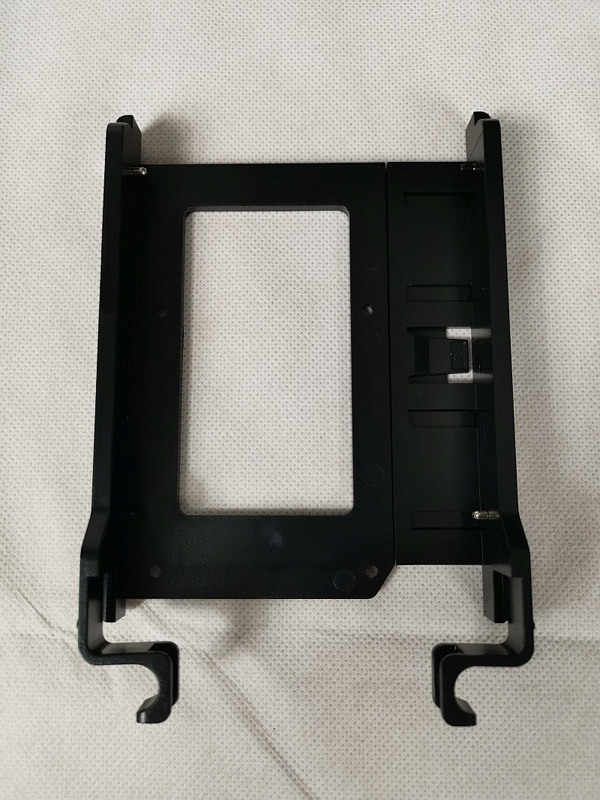 With this you can easily mount the mainboard spacers with a simple Phillips screwdriver. That was already the scope of delivery. 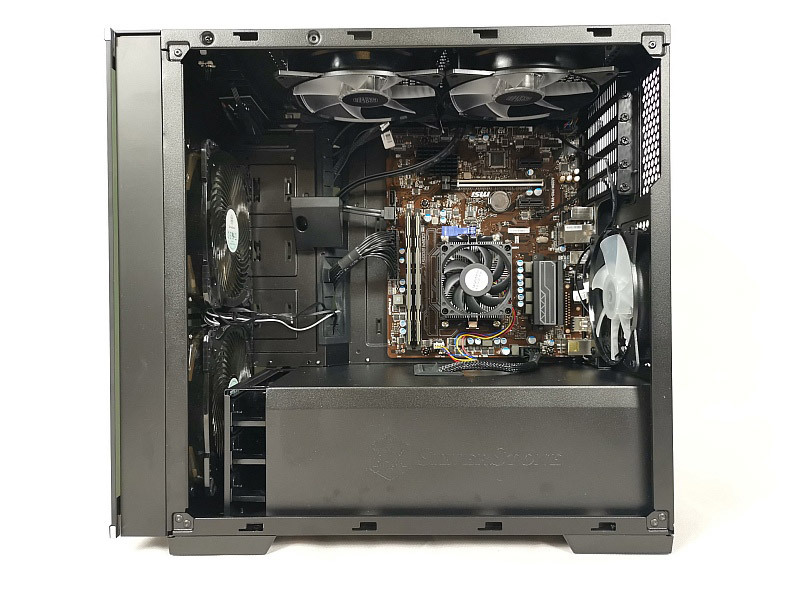 The Silverstone Lucid LD01 is a classic Micro-ATX case that offers a lot of possibilities. In the interior there is a lot of space for various installation possibilities. The feedthroughs are intelligently placed and all covered with rubber, so that no short circuits due to chafing are to be expected. In the upper left side you can also see the pre-assembled graphics card holder that supports the graphics card. This gives it a high stability and prevents it from bending. Since the underside is supported, a fan cannot collide with it. The holder is a little height-adjustable, but I would have liked to have a slightly larger area. But the range is still sufficient. 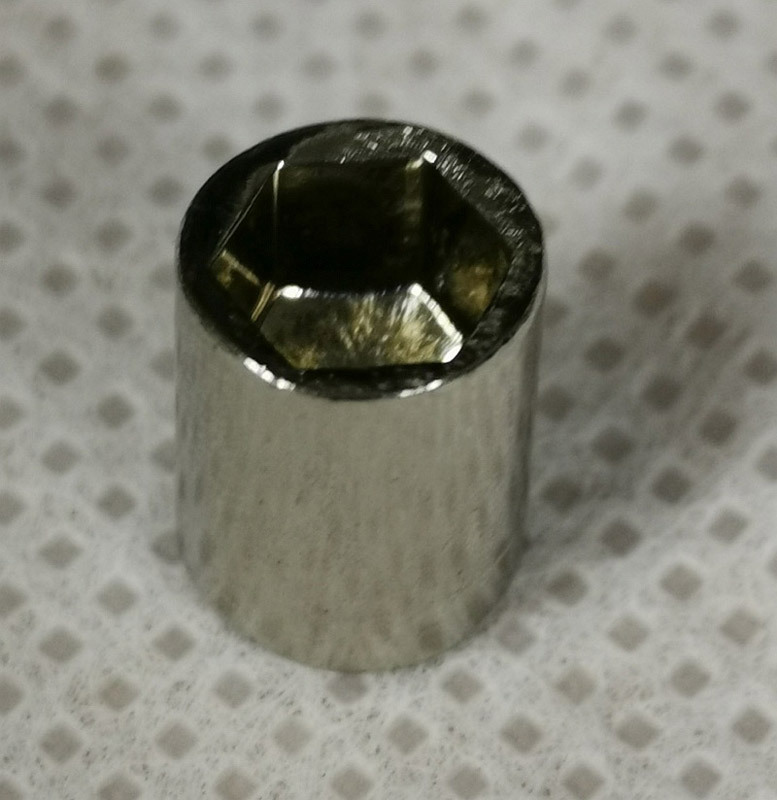 To adjust it you have to loosen the visible screw, then you can vary the height of the holder a little. This gives the installed graphics card the necessary stability. In the back you can see that there is a lot of space to lay a wiring harness properly. You should, because you can see it through the glass side panel. 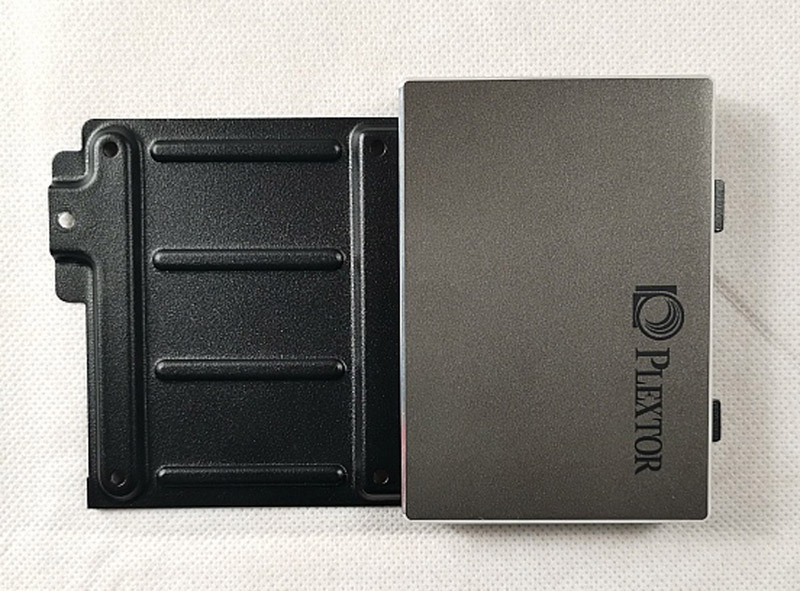 The upper left corner is the space for 2x 2.5" drives, which can be mounted on a small disk. It then looks as if it's finished. Let's get to the top of the tower, which has a magnetic dust filter. The dust filter is very easy to remove and clean. You simply put it in the light groove on the top of the fan. Here you can also find the USB connectors as well as the audio and mic jack and the power button. 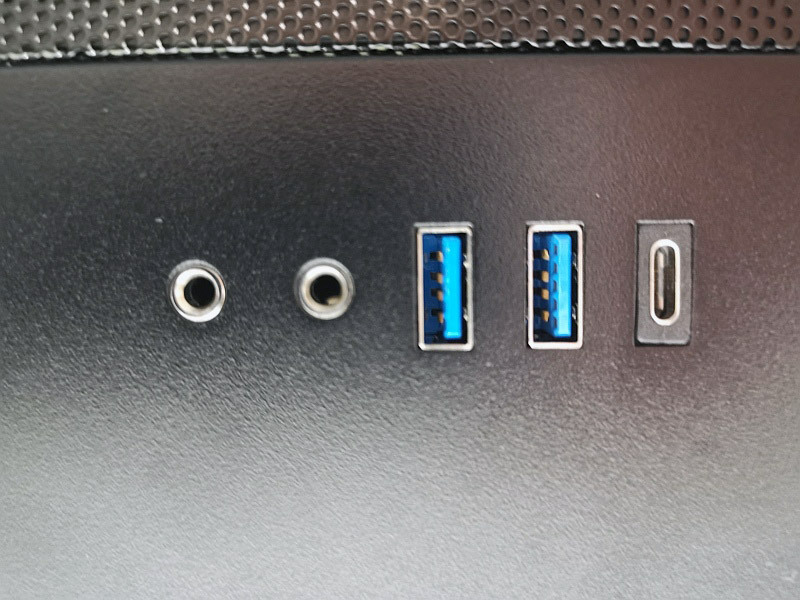 But there is a problem here, because you need two 19-pin USB 3.0 connectors on the mainboard. 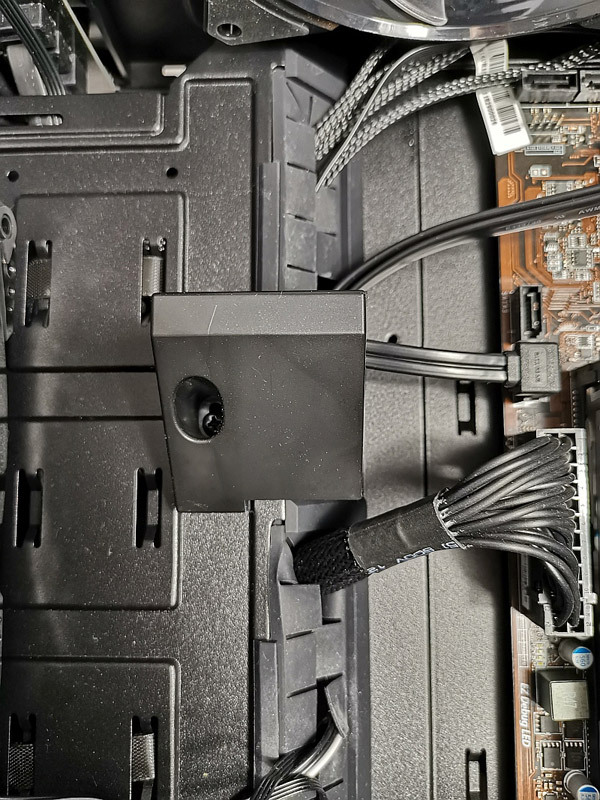 Most Micro ATX motherboards have only one USB 3.0 connector. So you might be forced to get an additional PCIe USB 3.0 card if you want to use all three USB ports. Most will probably leave the USB-C port blank. 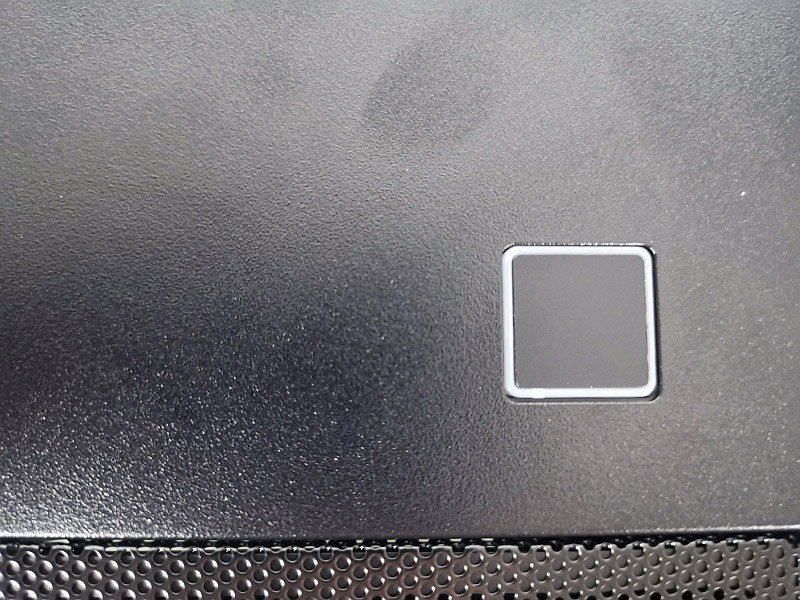 The push-button is also equipped with a white illuminated border. 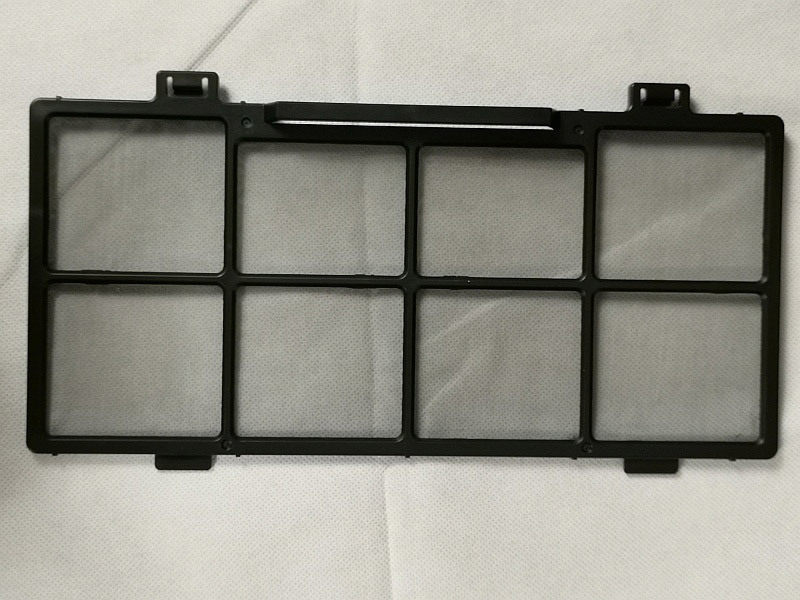 On the front side there is also a dust filter, but this is not magnetic but clipped in. 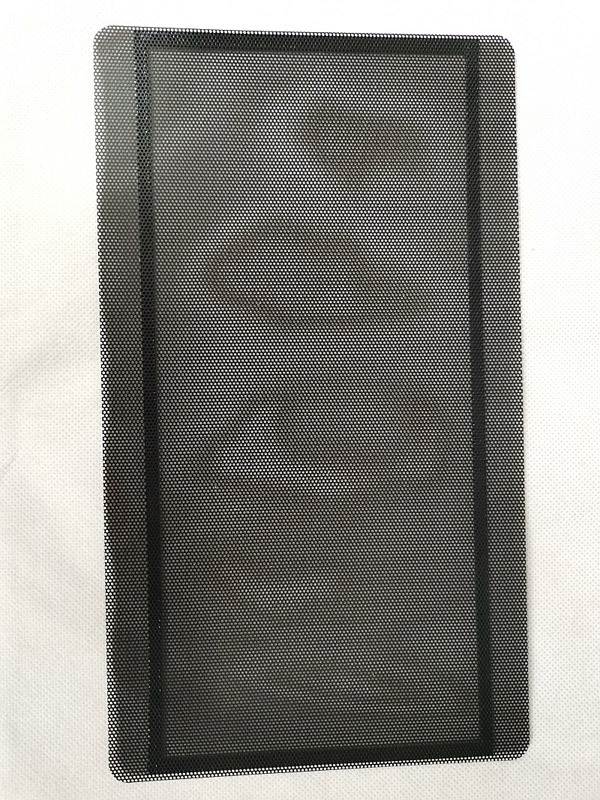 The glass front panel can also be removed with the side panels closed. This makes sense, otherwise you would have to open the whole tower to clean the front filter. ... and on the upper side a 3cm wide mesh grid insert inserted. 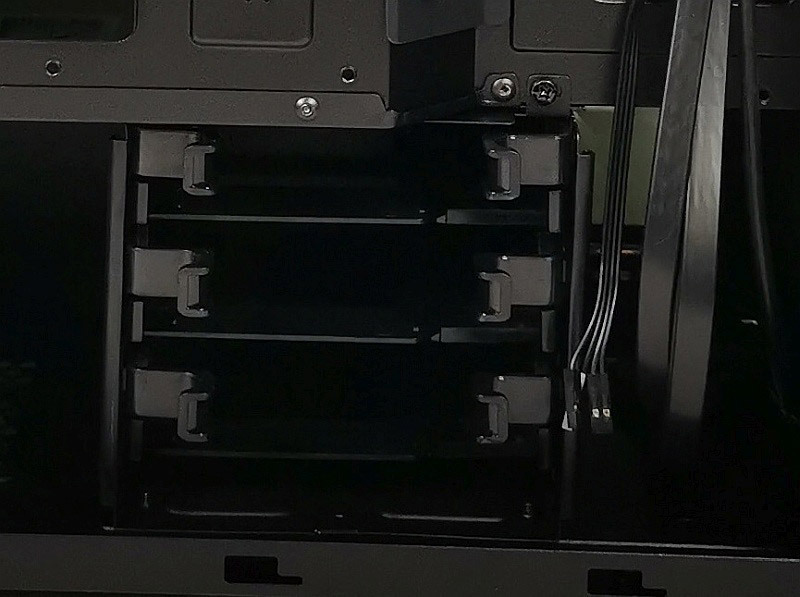 The installation of hard disks is kept very simple: Just pull the carriage out of the cage and push it a little bit apart. Then you can insert the hard disk loosely and push the carriage back again. Because the tower has three glass sides, it is comparatively heavy. A good 7.5kg are already enormous for an empty case. Only full-grown Bigtowers have the weight otherwise. 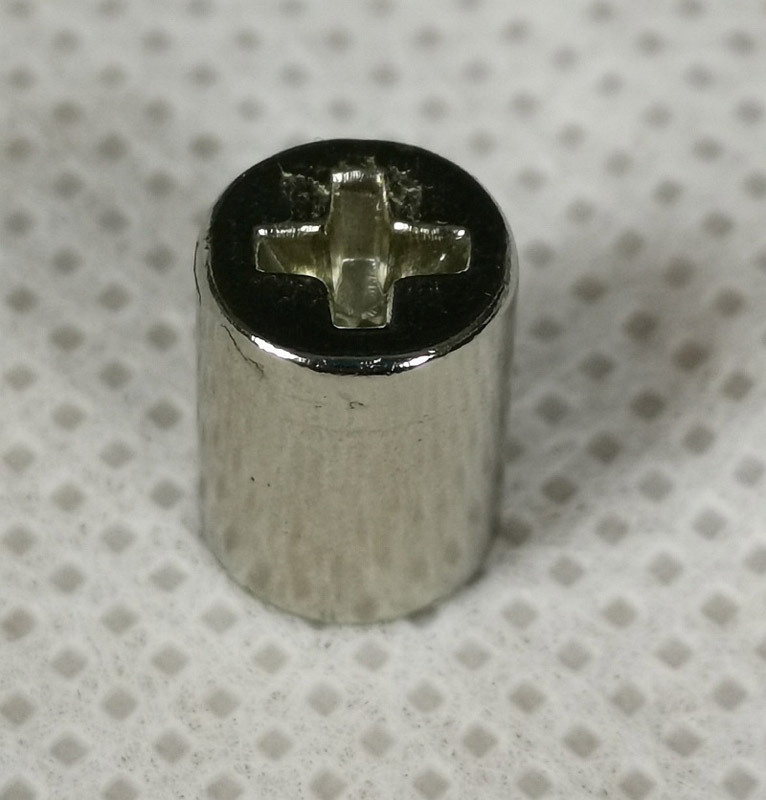 The upper and lower edges of stainless steel are framed, has the big advantage that the side parts (as with conventional housings) are fastened only from behind with two knurled screws. 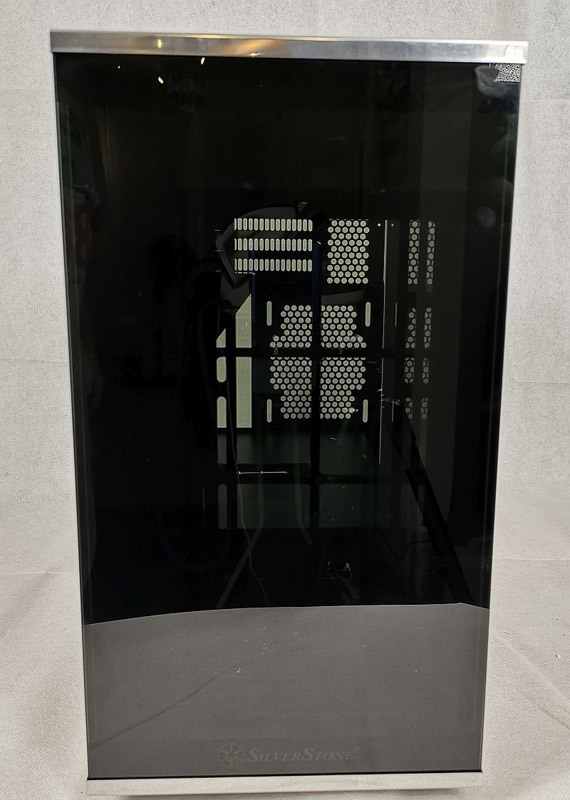 This means that the Silverstone Lucid LD01 lacks the usual 4 knurled screws, with which the glass panes are usually screwed together. This gives the tower a much smoother, more noble impression. 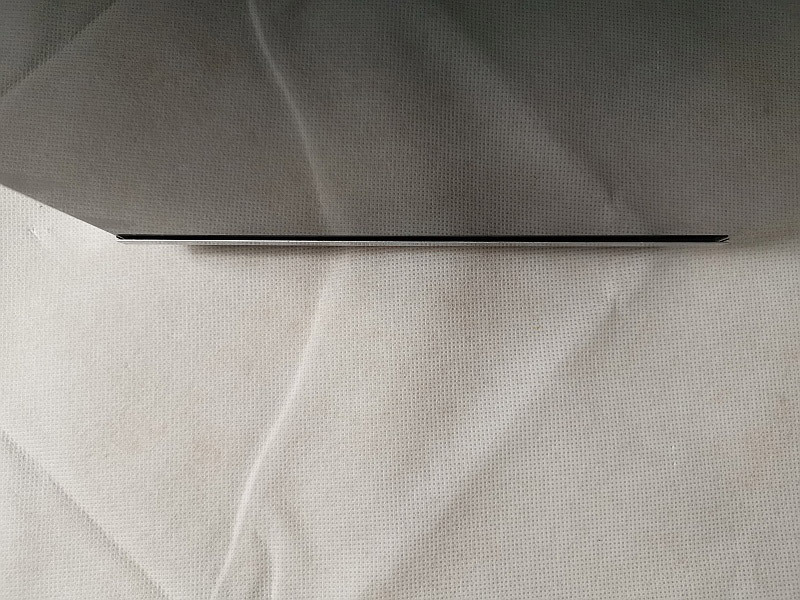 However, the stainless steel edges are unfortunately not 100% flat everywhere, so that you can get stuck partially. Which is also the only pitfall I could find. Otherwise there are no sharp edges to be found, even with a meticulous search. The risk of injury with this case is therefore extremely low. A special feature of the case is of course the twisted installation of the mainboard. Silverstone advertises the better cooling of the graphics card. 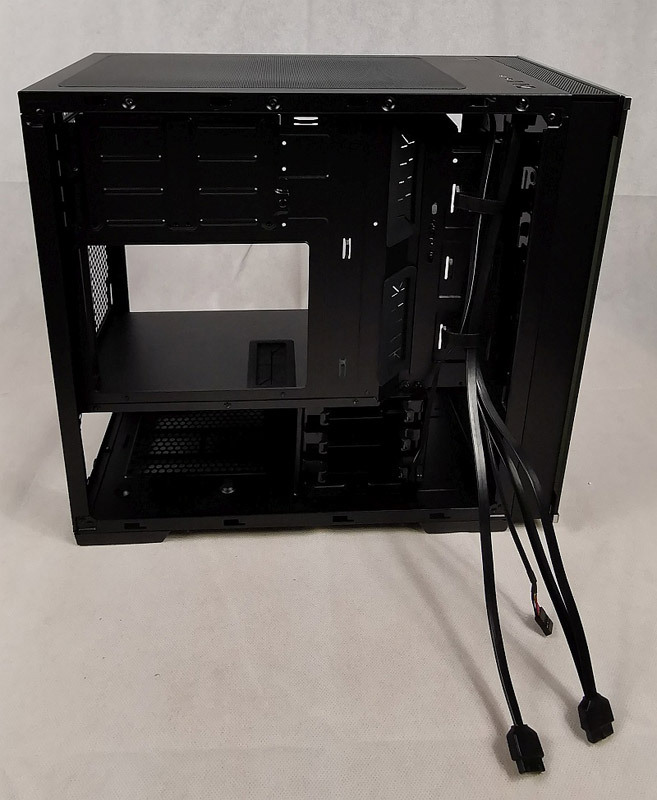 This can be directly supplied with fresh air from the upper fans. But the disadvantage can be seen in the pictures. 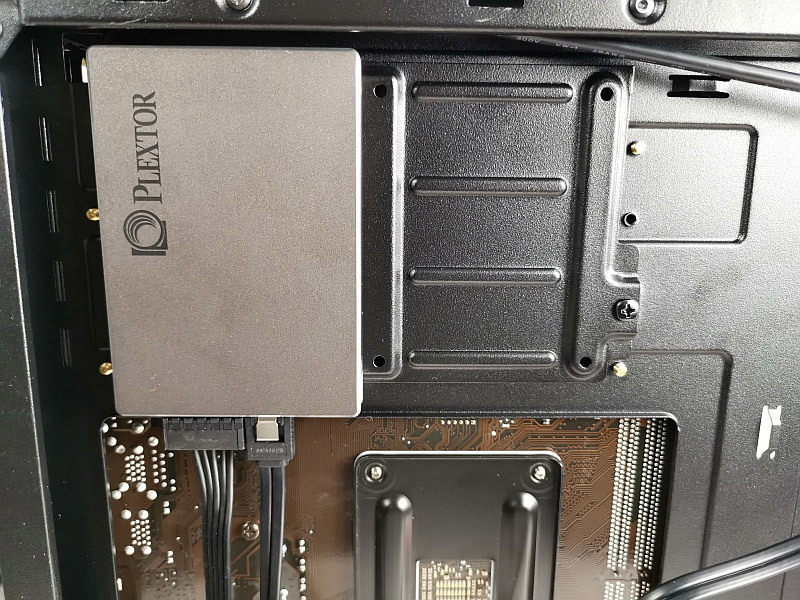 If the tower at the top is equipped with normal width fans, the upper PCIe slot is no longer usable. This is then covered by the fans. Also a SLI or CF system is then no longer possible. You can see on the picture that the space there is very limited. Completely equipped you can see that the space in the case is quite generous. 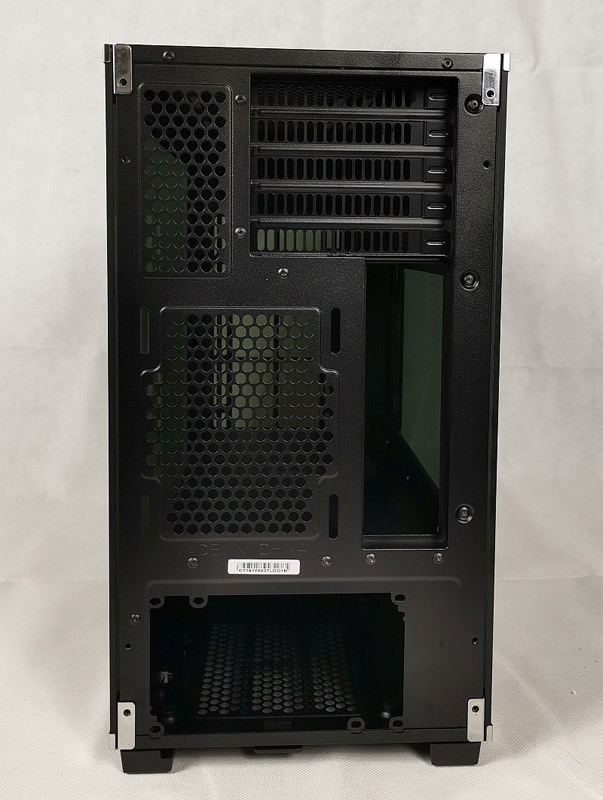 After all, it's a case in Micro-ATX format. 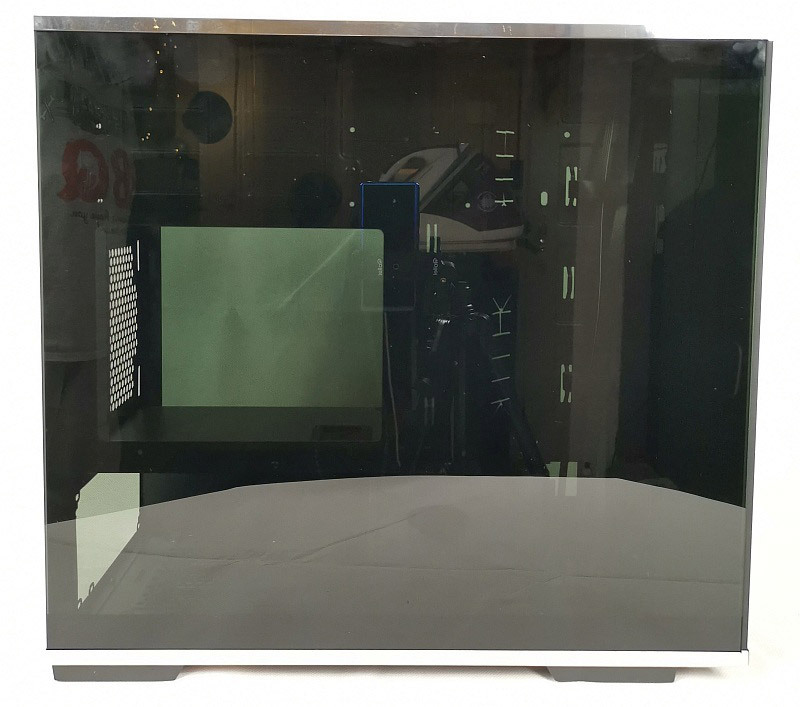 Coolers like the BeQuiet Dark Rock Pro 4 also fit easily into the case. 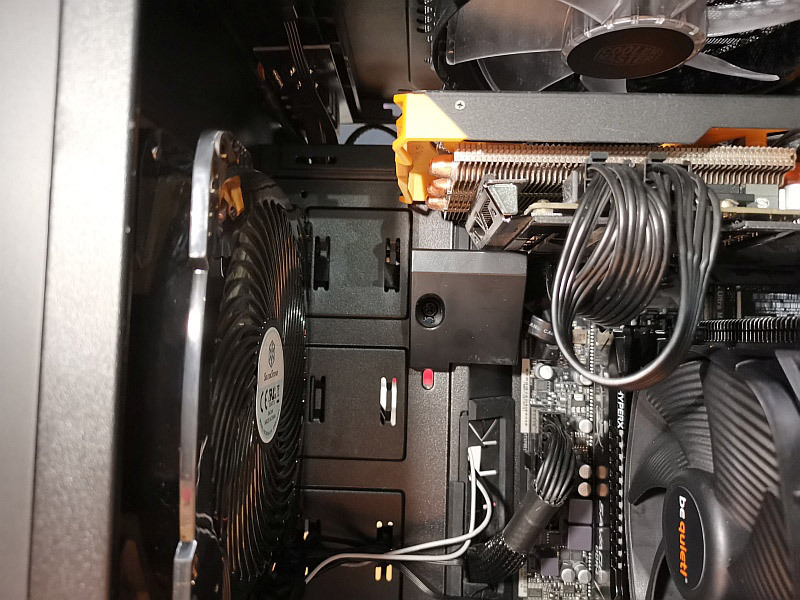 4x 140mm RGB fan, 1x 120mm RGB fan, Plextor SSD (rear), Corsair CX750M power supply, ASRock B450M Pro, AMD Ryzen 7 1800X, BeQuiet Dark Rock Pro 4, Sapphire R9 270X Toxic, 2x8GB Kingston DDR4 2666MHz RAM. And here you can see again the space conditions when using a budget board with a small CPU cooler. 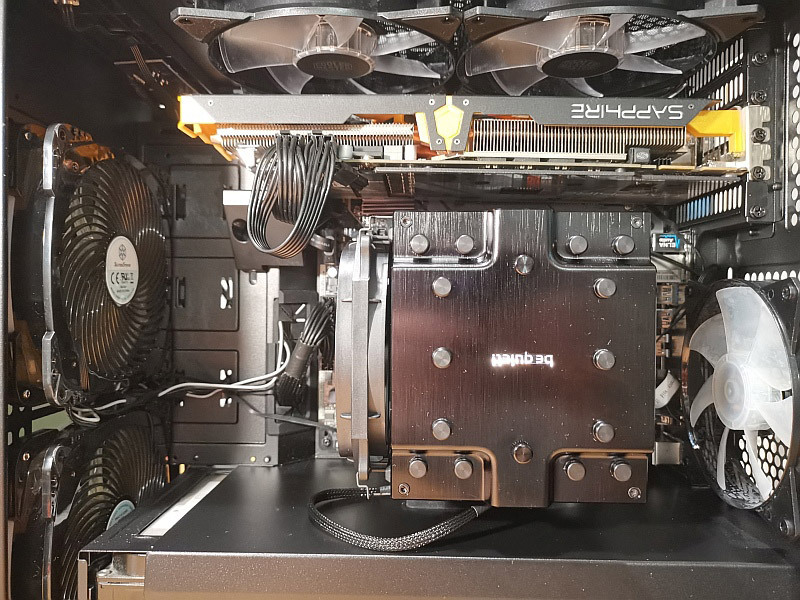 The MSI A320Pro VH-PLUS including AMD Athlon 200GE with the boxed CPU cooler was installed for test purposes. 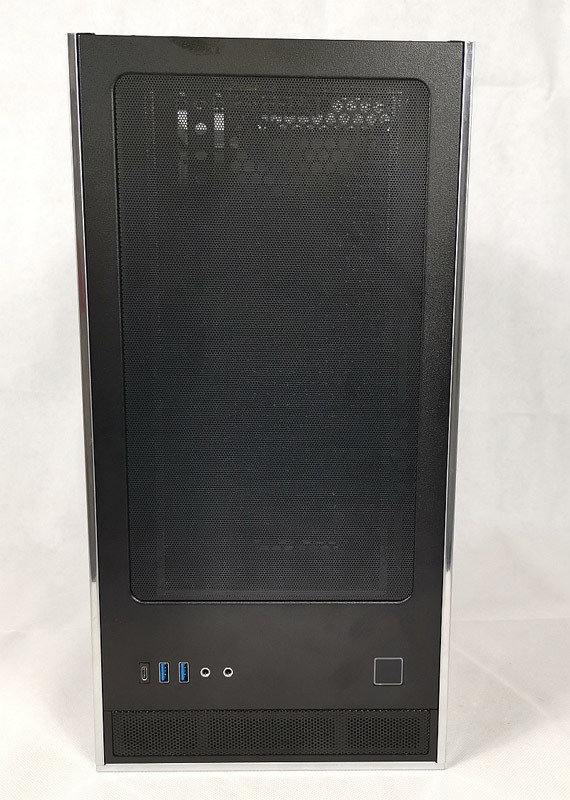 My personal opinion about the SilverStone Lucid LD01 case is very positive! It's a really chic piece that really makes a difference on your desk. For a street price of about 100 Euro you get a very chic and well thought-out case that doesn't have any real weaknesses. The turned mainboard is certainly not everyone's cup of tea. I myself prefer the normal installation, but it also has advantages. 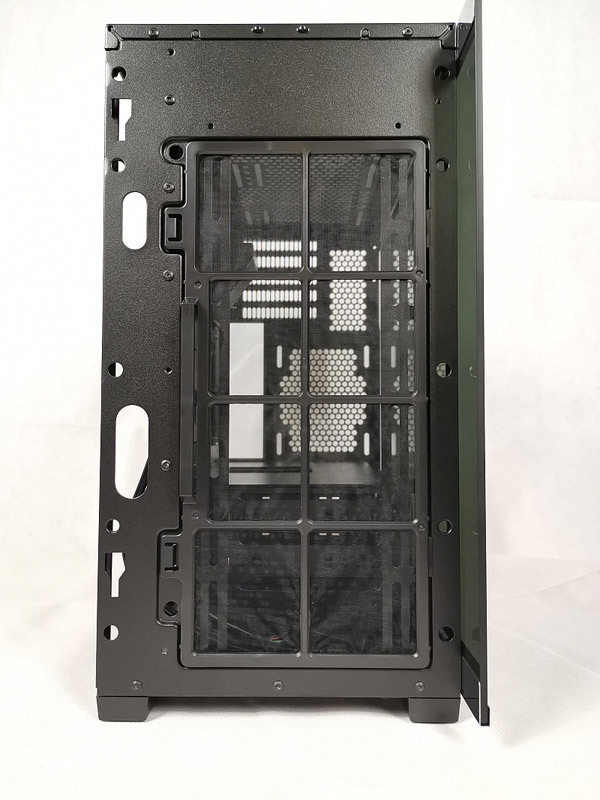 Although the case offers a lot of space, the Silverstone Lucid LD01 is not for people who want to install an SLI or Crossfire system. But there is enough space to accommodate a high-end system with a long graphics card. My recommendation is for the case in any case! If you want to see the tower shine in full RPG splendor, you can use the link to my YT Channel. 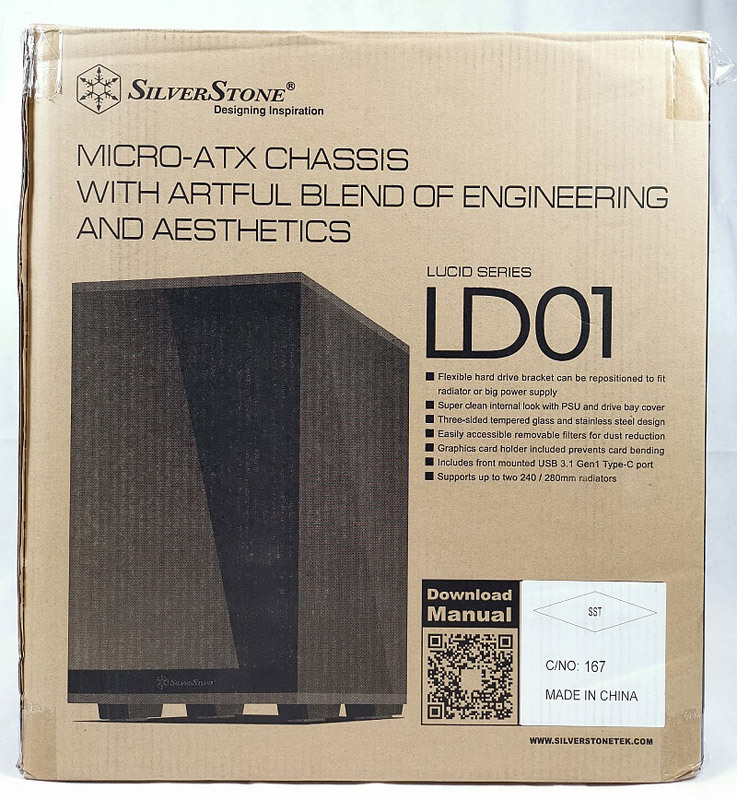 There is also a SilverStone Lucid LD01 Unpacking Video from me. Here you can buy the MSI Immerse GH70 headset. 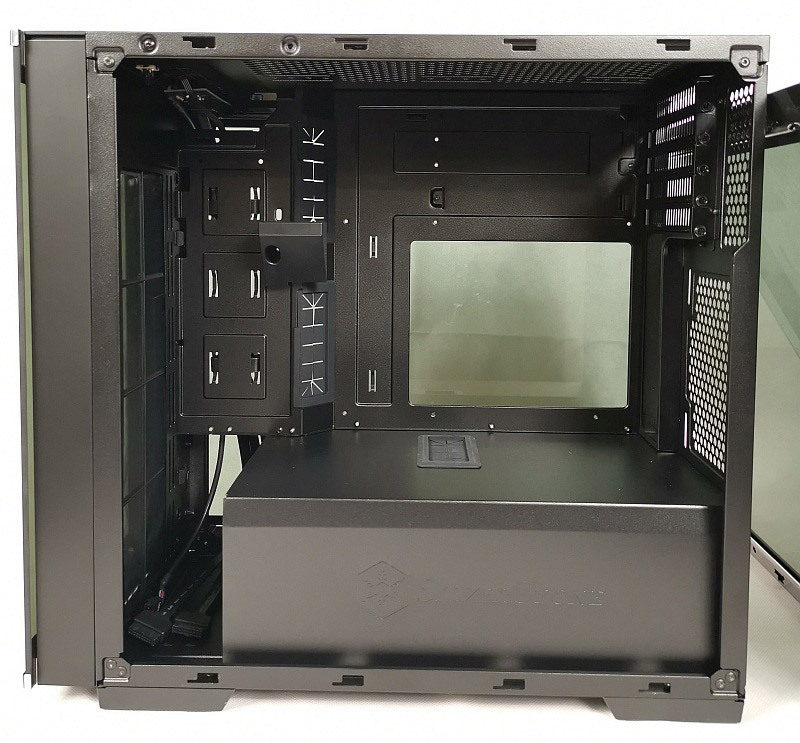 You will probably automatically reach to the wrong side of the case, because you expect the motherboard on the other side, but in any case an interesting enclosure.